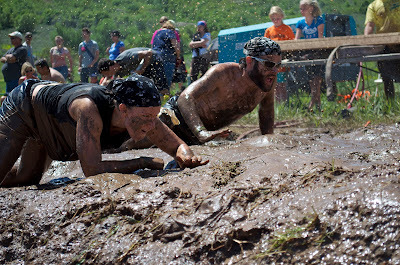 So I bought a picture from Flo-Foto, the official race photographers for the Dirty Dash. We also decided to enter the Dirty Dash's Facebook Contest to win a free entry to the Fall Race AND a Dirty Dash Hoodie. The top 3 pictures with the most likes would get the entry and the hoodie! She ended up getting 3rd place, SO close to 2nd, and I got 4th, about ten votes behind 2nd place, which was a great picture of a person lying almost covered in mud. I think it was the stinky warm mud out in the lake too. Very impressive. 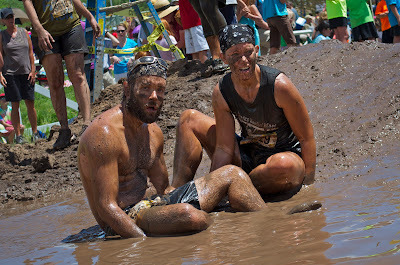 SO impressive, in fact, that the Dirty Dash people gave them a reward anyway and gave 3rd place to me! So we both got the win. Woot! I'm very excited. The Cahoots Duo Challenge is a race series where you and a friend combine wits, strength, strategy and stamina to negotiate a barrage of nearly two dozen unique obstacles and challenges. Tough Mudder in October. <- that one is taking too long to get here! Looks to be a fantastic summer!